Everything is getting packaged these days and companies are working to sell almost everything. 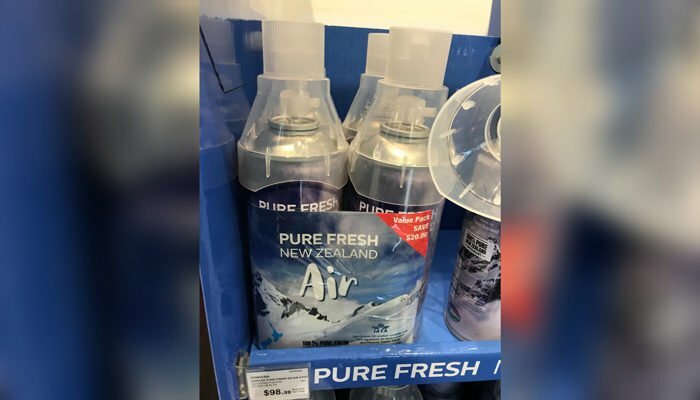 A store at Auckland (New Zealand) airport has been making news for selling “Pure Fresh New Zealand Air” in bottled canisters. 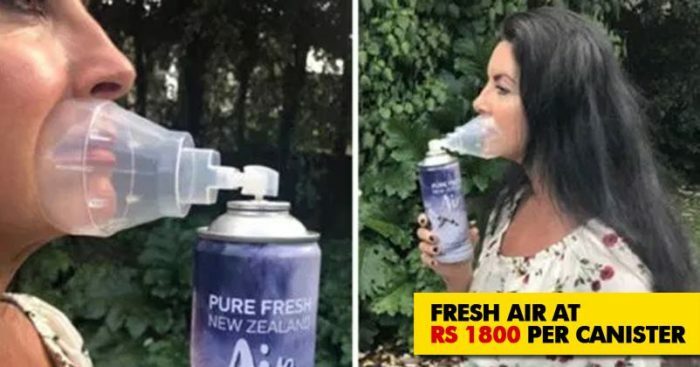 While sales staff initially denied the air was being sold there, Airport staff checked the store and confirmed it was. The cost of 4 bottles is ₹7300. However, are offering a discount of ₹1500, so I guess we should cheer? A photo of the ‘value pack’ cans was shared to Twitter by journalist Damian Christie on Thursday. 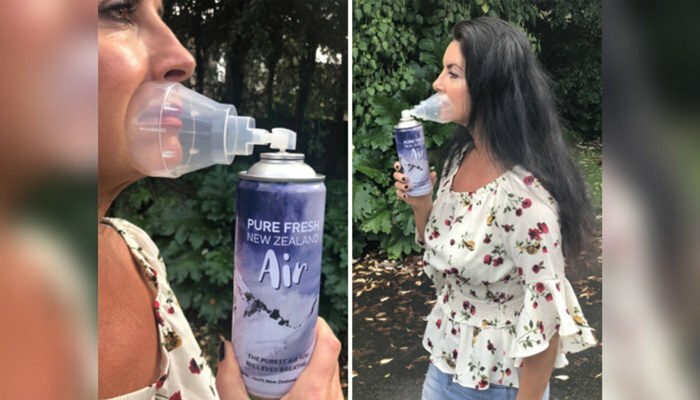 According to the Kiwiana website, the company harvests the air “above the snow line” on New Zealand’s South Island. These are also available on the company’s website. the website reads. The captured fresh air then passes through a triple filtration process, removing all the tiniest materials. Each canister contains air for 130 to 140 deep breaths and comes with a specially designed cap that allows inhalation through mouth and nose. WHAT. We have hit peak capitalism! Isn’t this just *really* expensive huffing? How is this allowed?